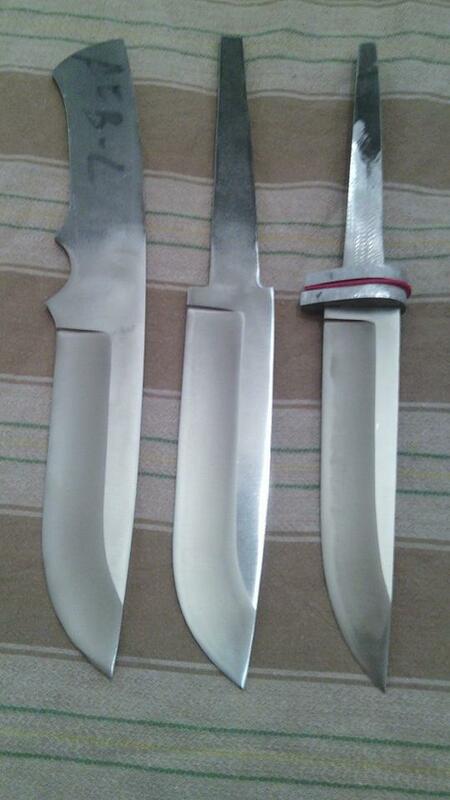 Another three blades that are prepared for hardening and to make handles. The first is steel AEB-L, D2 of the second and third of the 440B, but it is already taken. 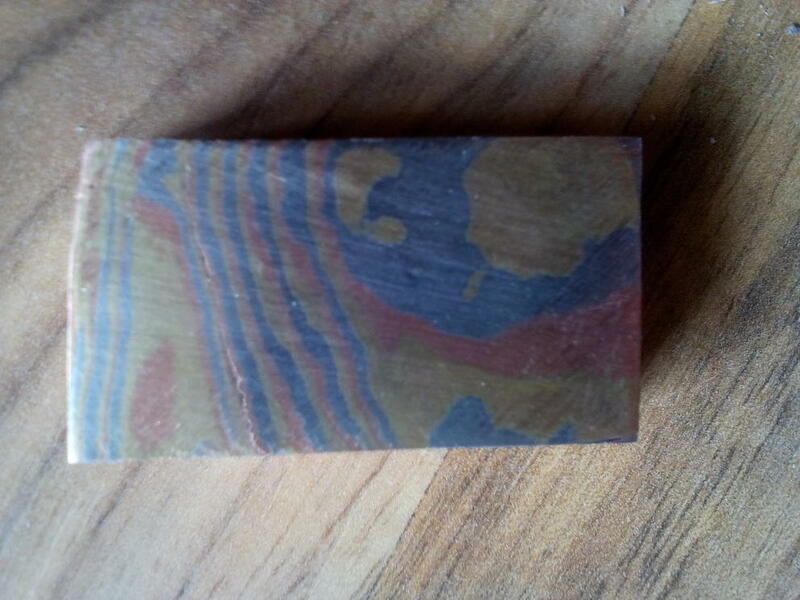 this is tricolor mokume take, I'll put a guard on the knife a colleague forum if he agrees. 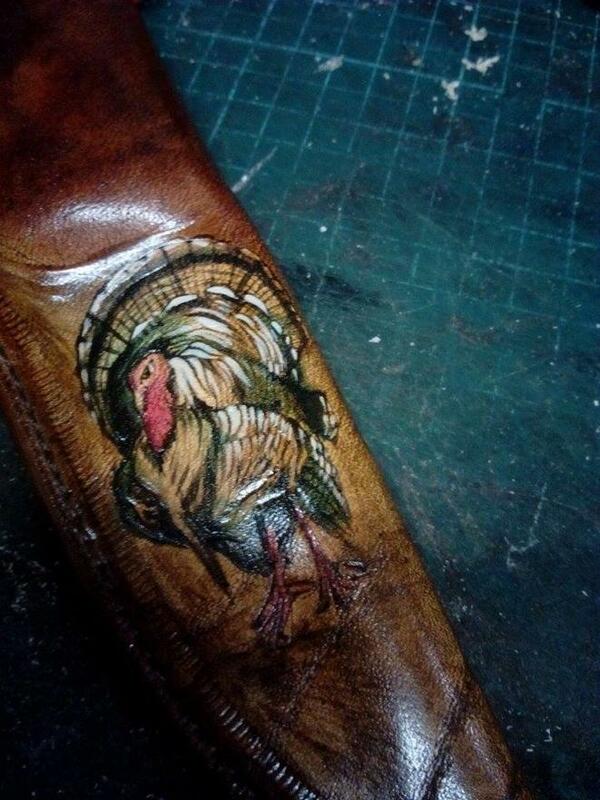 A modest sheath of yesterday is almost complete. 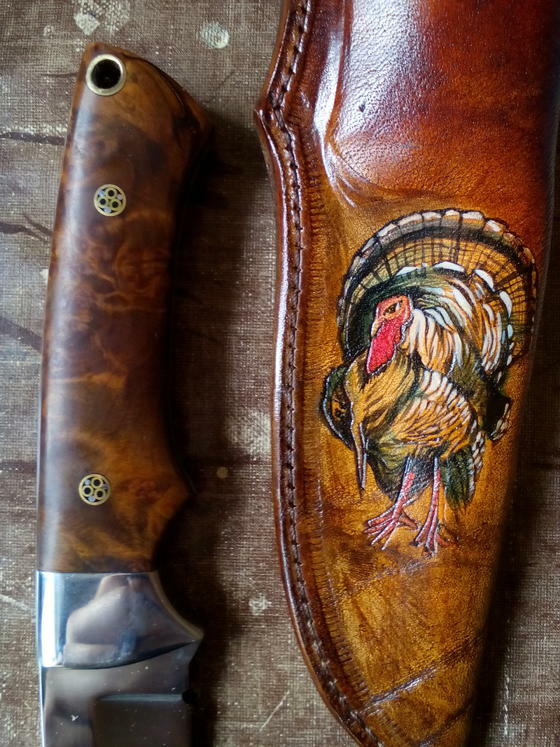 Tomorrow I will do a detailed photographs of the knife and sheath. I did it for a hunter from Tennessee. And by the end of the month I will send him. 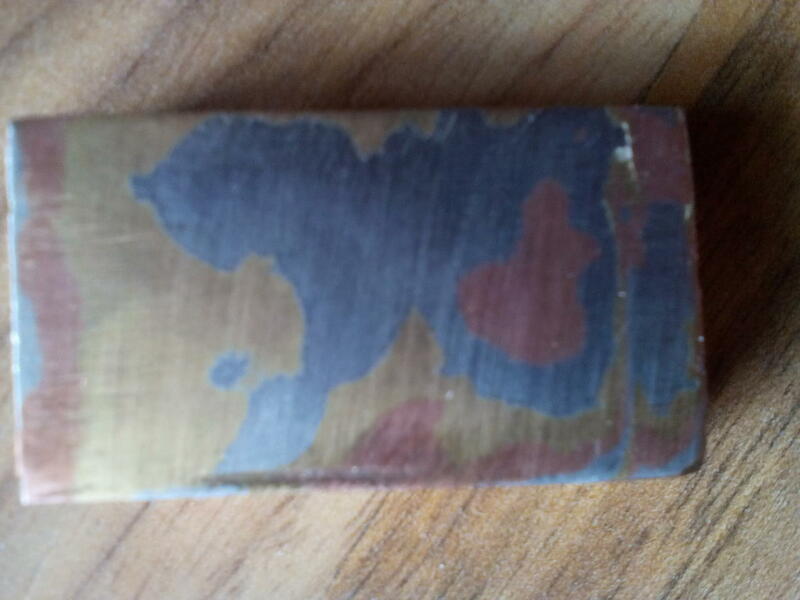 D2 steel, hardened vacuum of 60-61rs. Sheath 4 mm. calfskin with applique. 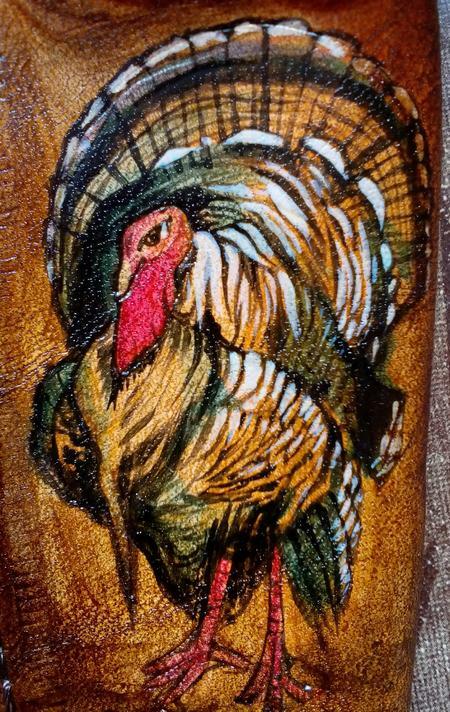 I think somewhere I managed to ponapravya turkey. Nadal to your liking. Soon I will show more and my things. I wish much success to all hunting. Something today, D2 steel with a handle of buffalo horn. He stayed only be polished. I will finish him do a complete review. 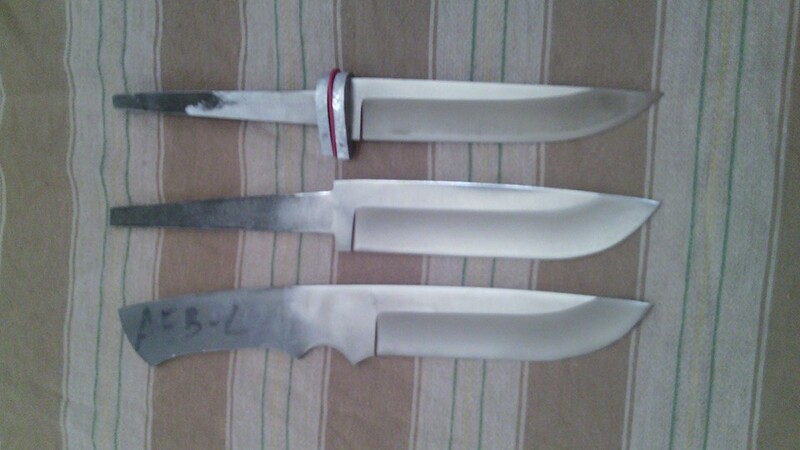 I love the shape of the blade on this one and also the leftmost one from the first picture you posted August 27th. Here it is already polished new. 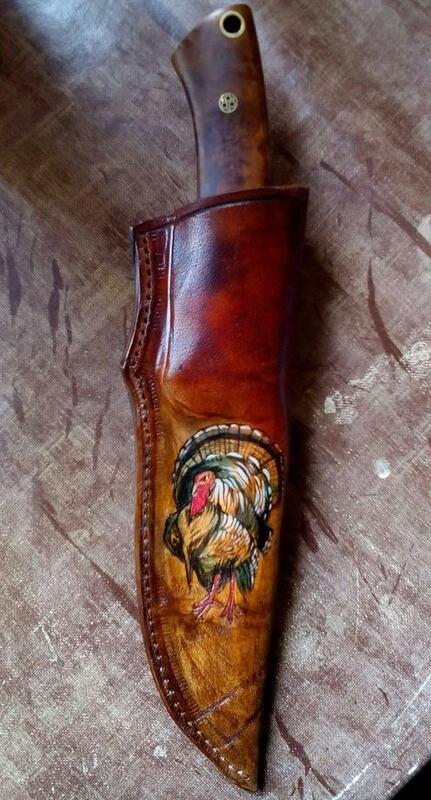 Sheath will do when someone ordered it and said what you wanted.